Any level of Cox Internet service is required. 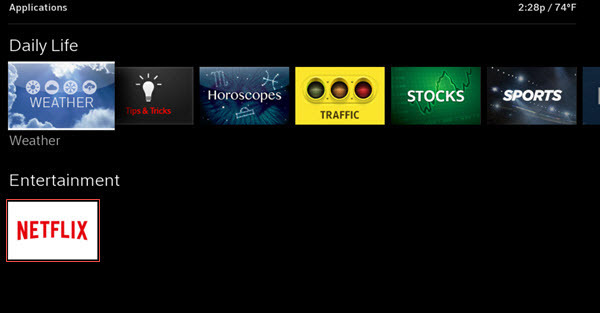 You must subscribe and be logged into Netflix to browse menus and use the search functionality. As a Netflix subscriber you can access your existing Netflix account from your Contour 2 receiver. Use the arrow buttons to access Apps. Select the Netflix App, and press Select. Select Sign in. For more information related to signing up for Netflix, refer to Signing Up for Netflix. Note: Two options may appear, Sign up for a Free Trial or Sign in to your Netflix account. 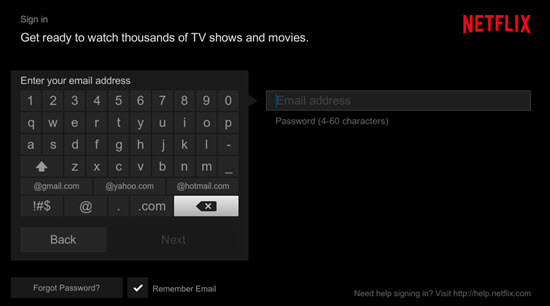 From the Sign In window, using the arrows on your remote, enter your current Netflix Username, then press the down arrow on your remote and enter your Password. Use the arrow keys to highlight Next and press OK. Result: View Netflix content or create a profile. For profile information, refer to Netflix.com/help.